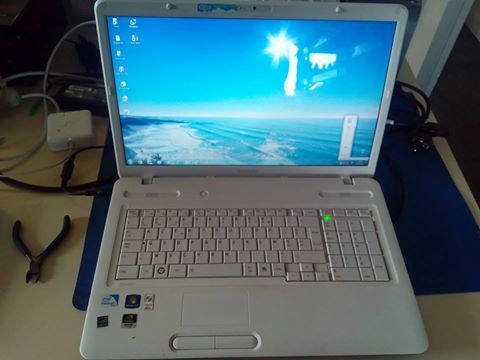 Problem: This 17.3″ Toshiba Satellite C670-17X notebook computer has a 2.2 GHz Intel Core i3-2330M processor and a NVIDIA GeForce 315M GPU. The laptop computer shuts down after a few minutes. Solution: Our component level Toshiba laptop repair technicians after initial diagnostics replaced the power circuit components. Accordingly, the 17.3″ Toshiba Satellite laptop is now working properly and the laptop doesn’t shut down during use. Call Creative IT London on 020 7237 6805 for same day London Toshiba Satellite C670-17X repair and 17.3 inch Toshiba Satellite C670-17X motherboard repair services.